"Angel with lily", 27x37cm (11x15"), detail. 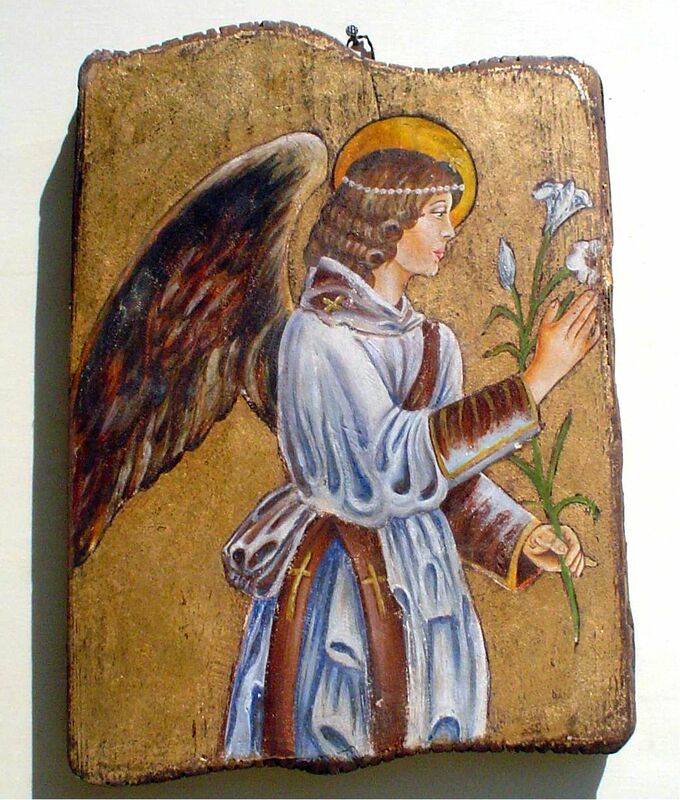 Hand made painting on authentic XVII century wooden panel. One of a kind, please call or e-mail us for availability and price. IN STOCK.